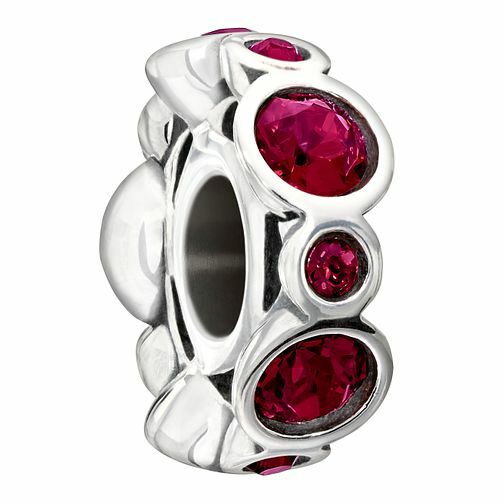 A pretty sterling silver and crystal charm symbolising ruby, the birthstone for July. Discover all the ways to express yourself with one of a kind jewellery that reflects your life and experience. Inspired by your personal sense of style, Chamilia jewellery is as unique as you are. Chamilia Birthstone Jewels July Swarovski Crystal Charm is rated 5.0 out of 5 by 4. Rated 5 out of 5 by Anonymous from Beautiful charm This charm is a delight and I know the recipient will love it, a perfect addition to her bracelet. Also the delivery time was very good. Rated 5 out of 5 by Anonymous from Beautiful item, well made A beautiful item that has been well made and a bargain at the price.